If these wings could fly. | Oh Look! It's A Blog! 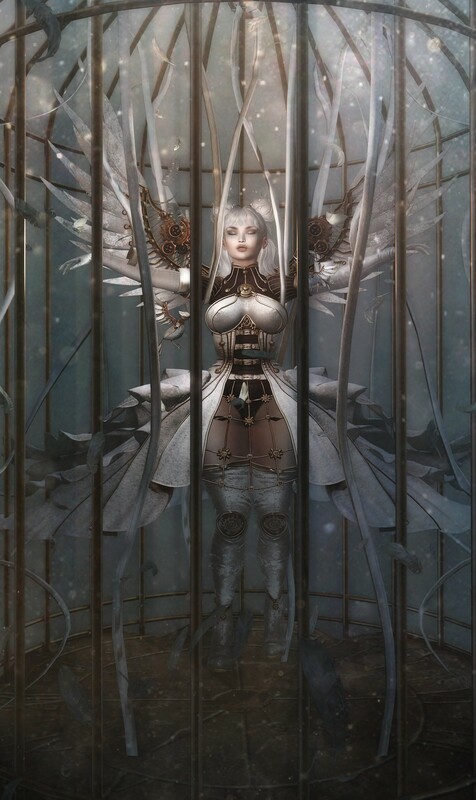 I paired it with a hair from Doe, also at Lootbox and posed in the cage from the MoonAmore gacha (that’s honestly what I wanted the most and it is a common!) and ta da! *pose shown comes with the cage. This entry was posted in iheartslFeed, Uncategorized and tagged Anc, Bird, Caged Soul, Decor, Doe, Gacha, Glam Affair, LeLutka, Lootbox, Mechanical, Mesh, Moon Amore, MoonAmore, Rare, Robot, Second Life, Simone, SL, Steam Punk. Bookmark the permalink.